It seems that every few months the rumor mill is churning out new, exciting models for consumers to consider and ultimately vote on using their dollar bills. Over the past few years I’ve personally voted for a 2015 Triumph Tiger 800 XCx, after which I elected a KTM 1090 Adventure R into the garage, and a smaller, more dirt-focused model is currently campaigning hard on the 2019 ballot. What I’ve learned over the past four years from diving headfirst (literally, at times) over the handlebars into the world of adventure riding is that bigger is not always better. The list of things better than “bigger” in the world of adventure bikes is vast. Balance is better, handling is better, tractability is better, adjustability is better, but “bigger,” without the proper context, isn’t necessarily better. 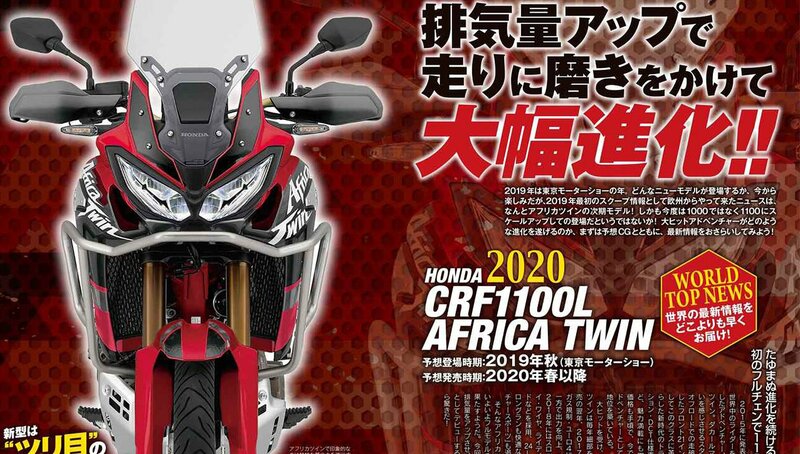 So why is the rumor mill coming out of Japanese and European magazines hinting at a larger displacement of 1080 cc for the Honda Africa Twin, producing only five additional horsepower? It all comes back to the new Euro 5 emissions requirements that are set to go into effect on the first of January, 2020. With governments forcing OEMs to create bikes that run even more efficiently, manufacturers are upping displacement to maintain the same level of performance their customers are used to. 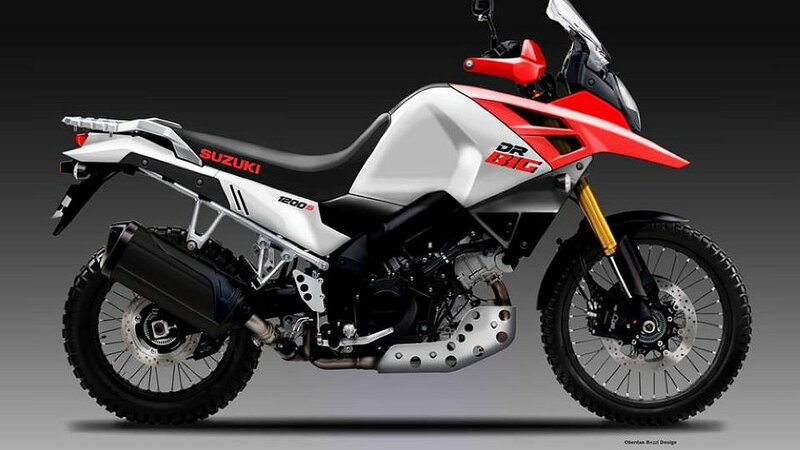 But that typically adds size as well as weight, and as we determined earlier, that’s not better in the world of adventure motorcycles, where machines need to tackle everything from sporty riding to touring to off-road treks. 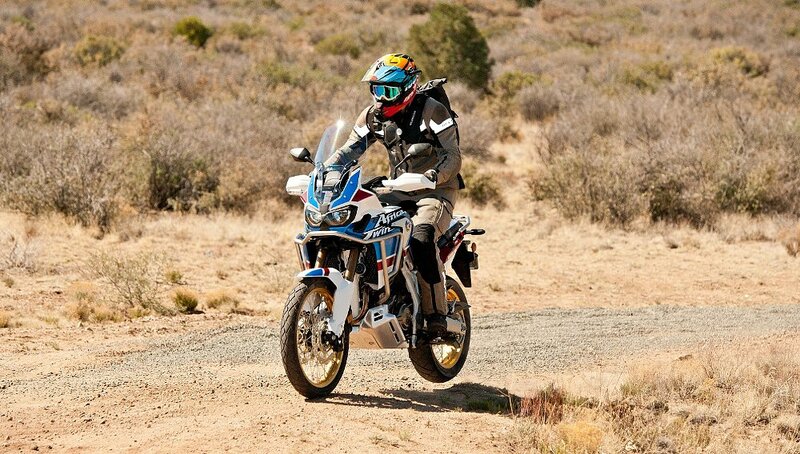 A range of improvements resulted in BMW's new F 850 GS. Photo by Kevin Wing. So how is an OEM expected to make a new adventure bike better and maintain the level of performance? To answer that, I would take a look at BMW’s playbook for the F 850 GS released at the end of 2018. BMW’s response to this issue was very similar to Honda’s: they introduced a larger engine. But they didn’t stop there. They improved the engine’s overall feel by moving to a 270-degree crank instead of the outgoing 360-degree engine. The motorcycle ran smoother and felt stronger across the entire rev range. They then introduced a new suspension that vastly outperformed the stock units on the older bikes (although I was disappointed there was no adjustability to the front end). The F 850 GS got an entirely new electronics package and a new TFT dash. Ground clearance was increased for better off-road usability. And BMW shifted the gas tank from under the seat to a more traditional location, thus moving weight more towards the front, and ultimately creating a more balanced bike. TL;DR - Arguably, BMW built a better overall machine than its predecessor. While early reports focused on the bump in displacement, in the end it was all of the additional considerations that made the F 850 GS an “improved” motorcycle. The problem with the BMW approach is that the new machine came to market with a relatively hefty price tag elevating its cost to the top of the middleweight ADV-segment. A segment where Honda’s base Africa Twin is currently one of the most affordable options. The CRF1000L was not short on power. Photo by Kevin Wing. So what would I like to see from a new Africa Twin? I would like to see Honda focus on overall performance. I mean, do what you have to do to the engine, but just keep in mind that the average rider probably isn’t going to notice a five-horsepower discrepancy. What they will notice is a better suspension, niceties like electronic cruise control, altered weight distribution for a better center of gravity, better footpegs, some aluminum backed handguards, and 30 pounds less weight. 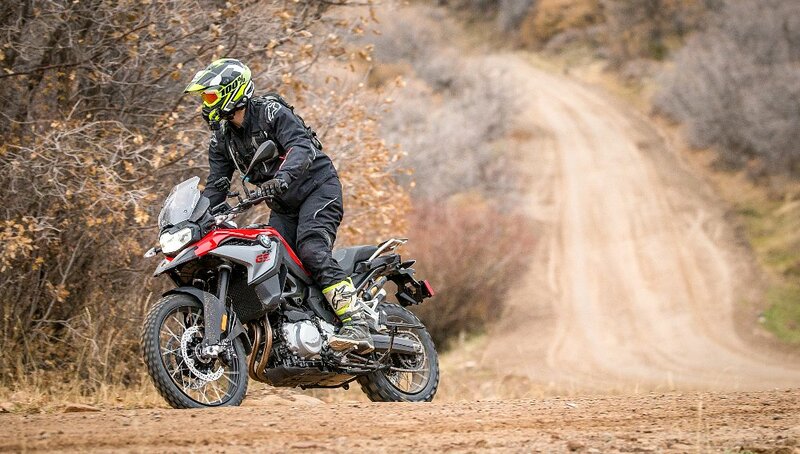 While I’m not sure exactly what Honda has in store for us in the coming months, I do know that as of last week the KTM 790 Adventure R is claiming the same power, less weight, better suspension, and better electronics all for the same price as the current Africa Twin. And where Honda used to win on dependability, all motorcycles are becoming more reliable. Whereas the current Africa Twin requires a valve check at 16,000 miles, my 1090 Adventure R doesn’t require it until 18,600. And regular maintenance costs are a real consideration for folks putting down big miles on adventure bikes. While it looks like we’re almost certainly going to see a displacement bump in the Africa Twin over the coming months, I am more interested in the unknown. Nothing about a bigger engine gets me excited about that bike. In the end, what I am most interested in is how they end up striking a balance with everything surrounding the new motor. If you’re into ADV bikes, what a time to be alive and riding, indeed.